Shannon is a conveniently situated town in County Clare, Ireland. It is close to various attractions around the county and home to over 9000 residents. Shannon offers you a tranquil holiday experience with picturesque scenery all around. The top tourist attractions that are close to this destination include Bunratty Castle, the Cliffs of Moher, and the Burren. Get ready to leave your busy life at home, because cheap flights to Shannon are now available for a limited time! Shannon is home to Shannon Airport (SNN), which is a 10-minute drive or a scenic 10-minute bus ride from the centre of town. 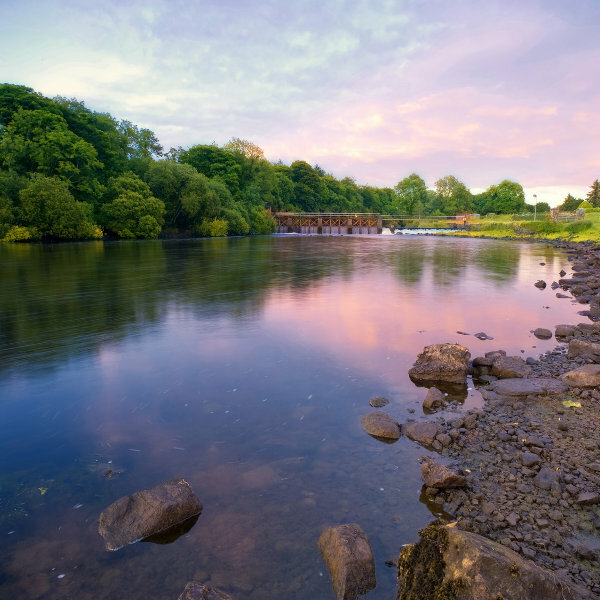 With a location close to the Shannon River, you have the guarantee of enchanting views. The area beyond Shannon invites you to explore the beauty for which Ireland is known. Shannon puts you close to many historic sites, such as King John’s Castle in Limerick, and Poulnabrone Dolmen further to the north in County Clare. 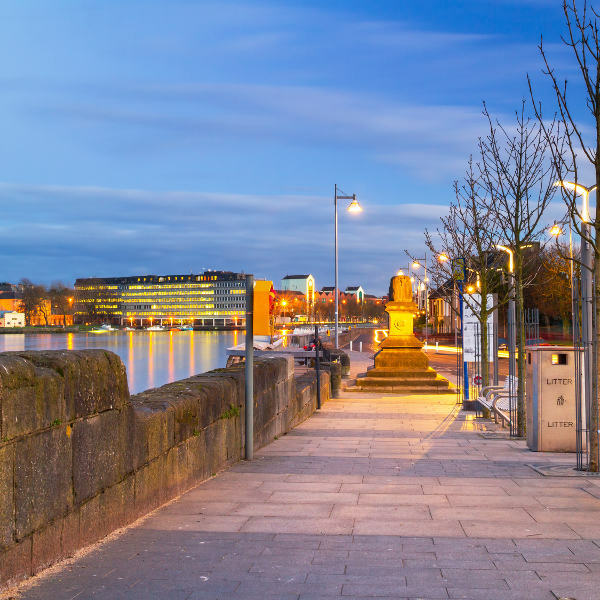 The town of Shannon is a short drive away from the neighbouring cities of Limerick, Ennis and Galway, ensuring you get to enjoy the buzzing environment of the urban scene. As Shannon is a small town with no attractions of its own, it doesn’t have a peak tourist season. You could visit any time, although the town experiences rainfall throughout the year. Summer (June – August) would be the most popular time to visit if you want to explore the outdoor attractions, with less rainfall (especially in June and July). However, be warned: if you visit other destinations like Limerick and Galway from Shannon, you will encounter more tourists there. Mid to late spring (April – May) and early autumn (September – October) offers cool weather, but April and May enjoy the least amount of rainfall. The town of Shannon sits in a scenic location, along the Shannon Estuary. This destination offers you access to the many alluring sights and sounds of County Clare, making it ideal if you are after a holiday experience away from the lively city environment. Shannon gives you access to beautiful historical sites and buildings like the Bunratty Castle and the Poulnabrone Dolmen. Just beyond the town, you will find picturesque landscapes and the gorgeous coast, where you can watch breath-taking scenes as the waves crash against the shore at the magnificent Cliffs of Moher. 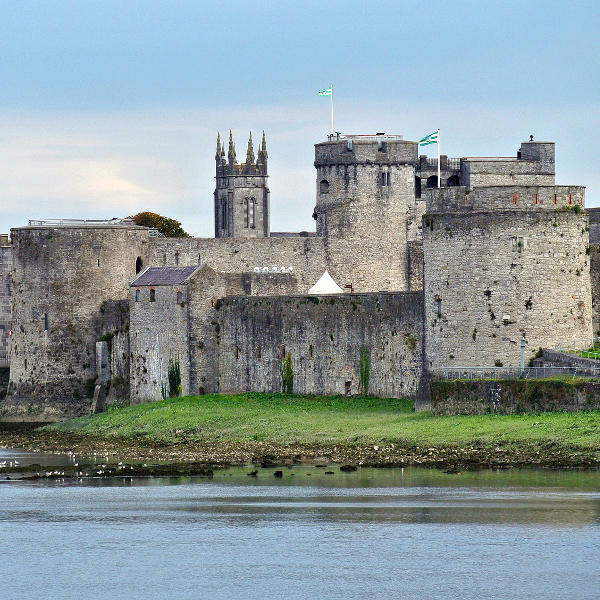 Shannon is close to other famous cities along the Shannon river, such as Limerick, Ennis and Galway, each with a vibrant atmosphere. You can enjoy this choice of a tranquil location and exciting scenes with a holiday experience in Shannon. Compare several airlines and book your cheap flights to Shannon online at Travelstart! Make sure to get all the routine vaccinations four to six weeks before your trip to Ireland. Other diseases you may need to be wary of, depending on what you do or where you go in Shannon, include rabies, hepatitis A, and hepatitis B. When exploring Shannon, take care not to walk anywhere at night, even if you are in a group. During your daytime explorations, make sure to keep your valuables in a secure place or well out of sight. Refrain from showing large amounts of money when outside. When parking, make sure that all the doors are locked and that no valuables are left on the seats.